Chef and sustainable food advocate Dan Barber has some very interesting ideas when it comes to sustainable food practices, especially as they relate to our culinary industry and restaurant diners. One of his big projects revolves around a farm-based restaurant in Pocantico Hills, NY, although his career began with his family’s farm and attempts to help return it to productivity and profitability. In Barber’s quest to make sure his restaurants don’t waste a single bit of the food that is grown for them, he has worked to find productive uses for the bones of the animals that are slaughtered and butchered to provide the meat for some of their dishes. Initially they have been turned into charcoal that is used to fire ovens and grills for cooking, and now he is taking that idea one step further by using the very fine ash that is produced from the bone charcoal and having it added to a traditionally aged goat boule that will then be served in the restaurant. 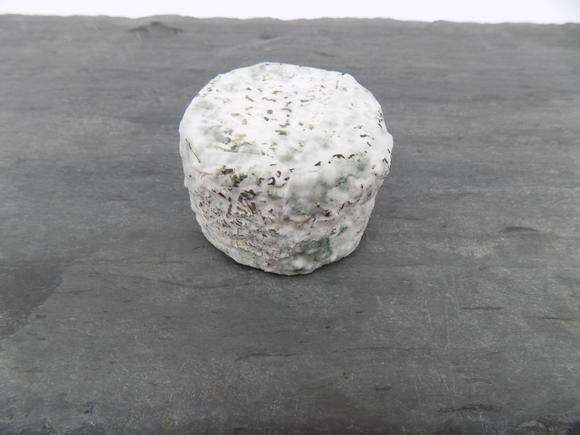 This new cheese is called “Bone Char Pearl” and the mixed milk (goat and cow) boule itself is being produced by Maine’s Seal Cove Farm, then aged by Crown Finish Caves in New York City. In addition to being served at the Blue Hills restaurants it can also be purchased from Saxelby Cheesemongers in New York City. Posted in Guild, Learning, Member Info, News and tagged ash, collaboration.